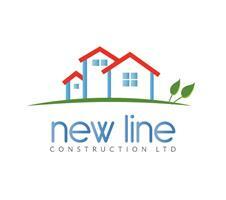 New Line Construction Ltd - Bathrooms, Builder, Carpenter, Electrician, Painter/Decorator, Plumber based in London, Greater London. The trusted West London arm of a 15 years old family business, our aim is to deliver consistent work, on time and on budget time after time. We work with you to help you plan the home you are looking for and then select the best specialist tradesmen from our pan-European team to ensure you get the final finish you are looking for, tailored to your individual needs & budget. We will work for you to source local & international materials to ensure you get your dream home at the best possible price. We are fully regulated and insured. We believe we represent the perfect mix of old & new Europe, delivering consistent customer service and practical project management.